The Axess CONNECT.APP is an innovative CRM tool which brings the ski region and its visitors even closer together. Skiers are able to use their smart phones to receive all the information they need and to learn about services available in and around the area. Other benefits include mobile ticketing, individual extra features and the integration of social media. 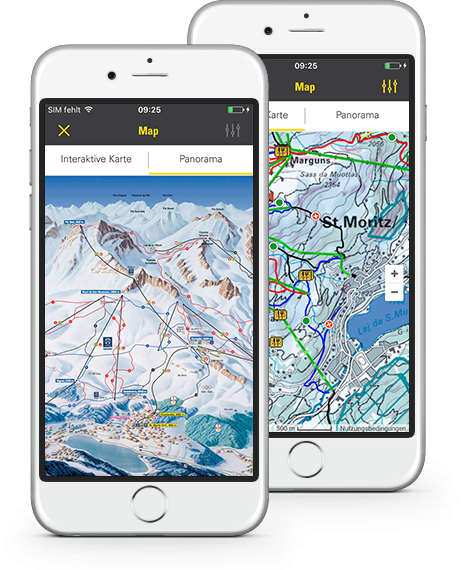 The Axess CONNECT.APP is fully adaptable to your corporate design and will enhance the image of any ski region. Online and mobile ticketing have already become part of everyday life for many people. In the digital age, they provide a rapid, simple and straightforward solution. The same applies to ski resort visitors. Skiers have got used to the convenience of buying their ticket via smart phone and collecting it from a will call kiosk like the Axess PICK UP BOX 600 before heading directly out onto the slopes. There are also considerable benefits for the ski resort itself. These include rapid and streamlined processes, the ability to structure offers in a more flexible way and direct contact with customers. The functionality of the in-app ticket shop can be expanded to take individual requirements into account. 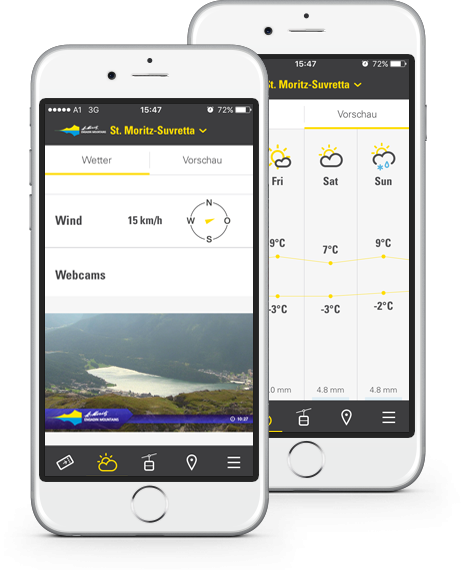 The Axess CONNECT.APP provides your ski guests with the latest weather, a forecast for the coming days and information on snow conditions at your resort – all delivered directly to their smart phone. This means visitors can receive reliable data from the ski region itself without having to search online for themselves. The weather in the valleys and on the mountains may often differ considerably. If conditions at lower levels are murky, guests can easily be informed of any magnificent sunshine that may be available up on the slopes. Weather cameras incorporated into the Axess CONNECT.APP support visual representation of the relevant meteorological information. The Axess CONNECT.APP provides ski guests with a real-time view of the status of all lifts and slopes across the whole of the ski region. This is a particularly useful source of guidance in large ski areas with far-flung lift facilities. Push messages ensure that information is disseminated rapidly in the case of avalanche alarms or slope closures. Planning the perfect day of skiing – all slopes are categorized by type and difficulty. This means that every guest can immediately plan an ideal day on the slopes without needing to be familiar with the ski region. All visitors can quickly identify the areas best suited to them, regardless of whether they are looking for family-friendly routes or a challenging downhill experience. Because information is filtered by region, a clear picture always emerges, even in large connected ski areas. The Axess CONNECT.APP includes an event feature to draw visitor attention to the various leisure activities on offer in and around the ski report. Events of any kind from dinners to parties to night-time snow shoe tours can be publicized to guests via their smart phones. The app also provides a quick and straightforward way of communicating information about popular restaurants, snow bars and other gastronomic outlets. The app data can be evaluated at any time to enable a ski report to tailor services even more closely to the needs of its visitors. The Swiss resort of St. Moritz is one of the world’s leading ski areas. It offers a wide range of facilities to suit all abilities and interests. The slopes of Corviglia have hosted the World Championships and Olympics, whilst Diavolezza is a favorite location for downhill enthusiasts. Those seeking creative relaxation tend to be drawn to Muottas Muragl. The Axess CONNECT.APP now makes it possible for any ski guest to find the leisure and sporting activities he or she is looking for. 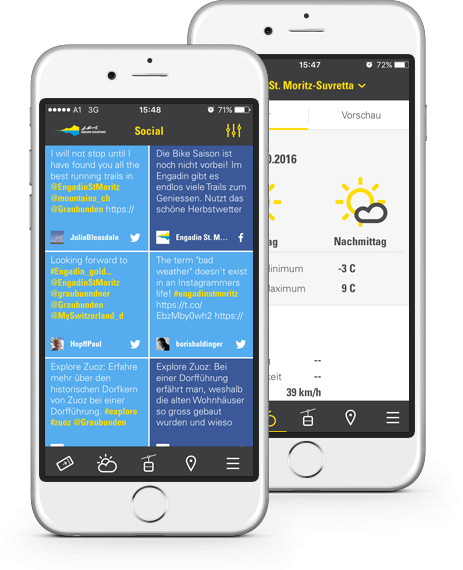 The Axess CONNECT.APP for St. Moritz contains all the usual information features and an in-app ticket shop. 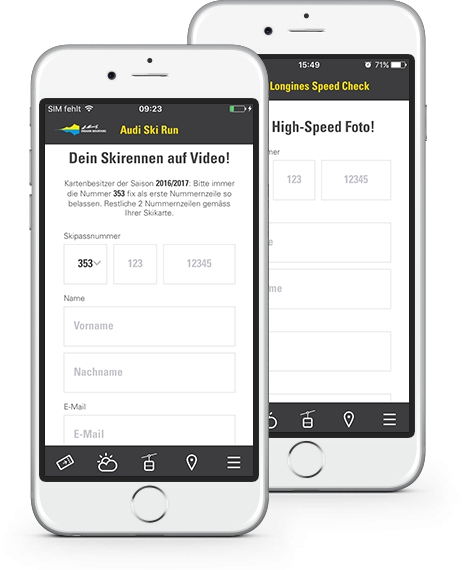 It has also been individually expanded to include the “Audi Ski Run” and the “Longines Speed Check”. More than 20,000 downloads have been recorded since its launch in the autumn of 2016.